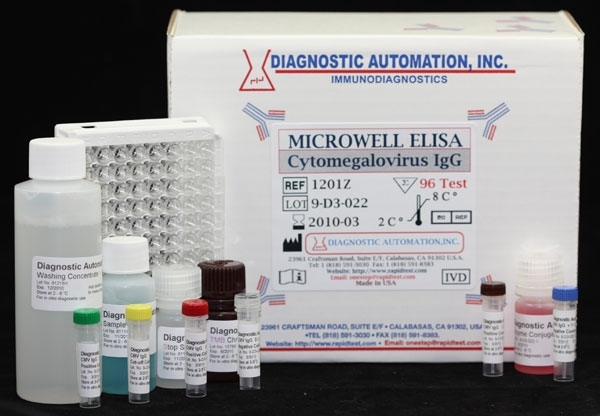 Diagnostic Automation Inc. offers a CMV IgG elisa test kit which is intended for use in the detection of IgG antibodies to Cytomegalovirus (CMV) infection. 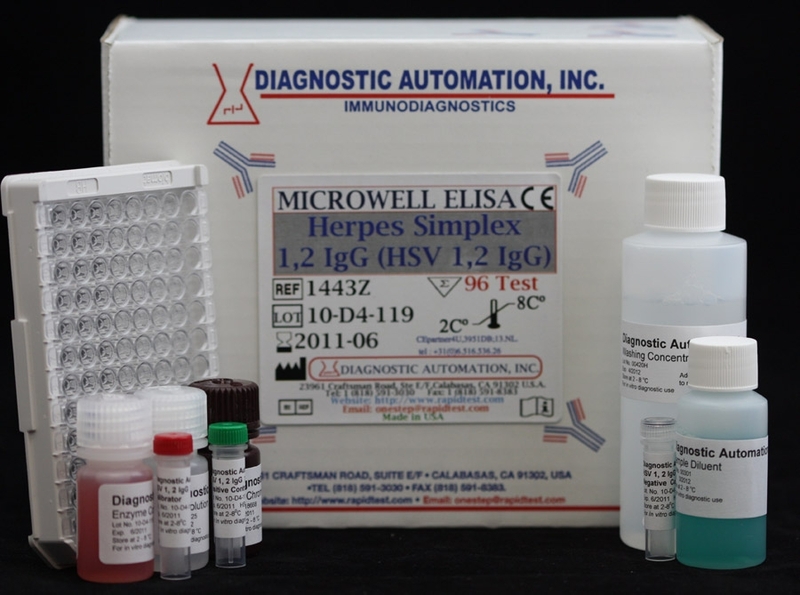 Cytomegalovirus is a herpes virus with the ability to remain dormant in the body for a long period of time. However, severe impairment of immune system by medication or disease can reactivate the virus from the latent or dormant state. CMV is found universally throughout all geographic locations and socioeconomic groups. CMV is a leading biological factor causing congenital abnormalities and complications among those who receive massive blood transfusions and immunosuppressive therapy. About half of pregnant women who contract a primary infection spread the disease to their fetus. In-utero infection may cause major defects including mental retardation, blindness, and/or deafness. 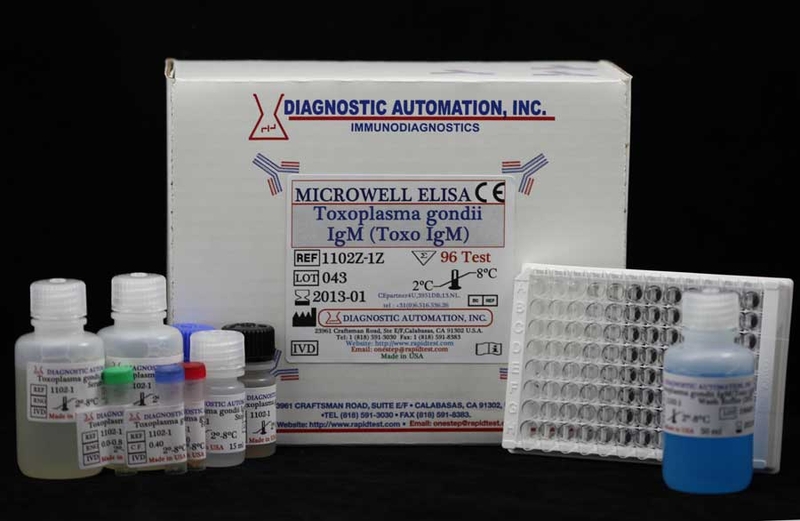 Serological tests for detecting the presence of antibody to CMV can provide valuable information regarding the history of previous infection, diagnosis of active or recent infection, as well as in screening blood for transfusions in newborns and immuno-compromised recipients. 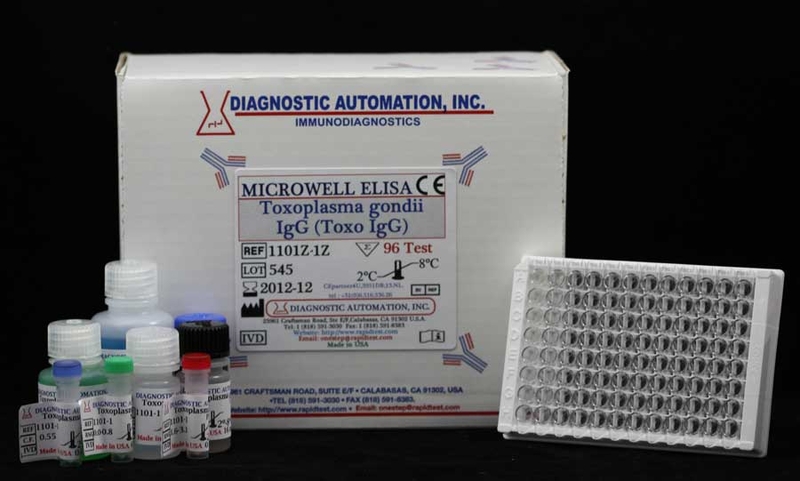 The antibodies present to Cytomegalovirus may be of the IgA, IgM and IgG. 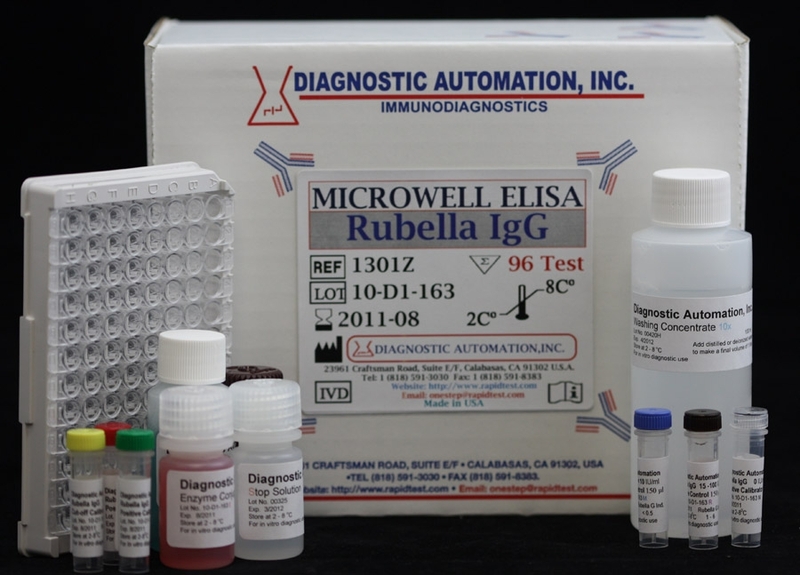 Diagnostic Automation CMV IgG elisa test kit is an accurate serologic method to detect CMV IgG antibody for identification of CMV infection. Purified CMV antigen is coated on the surface of microwells. 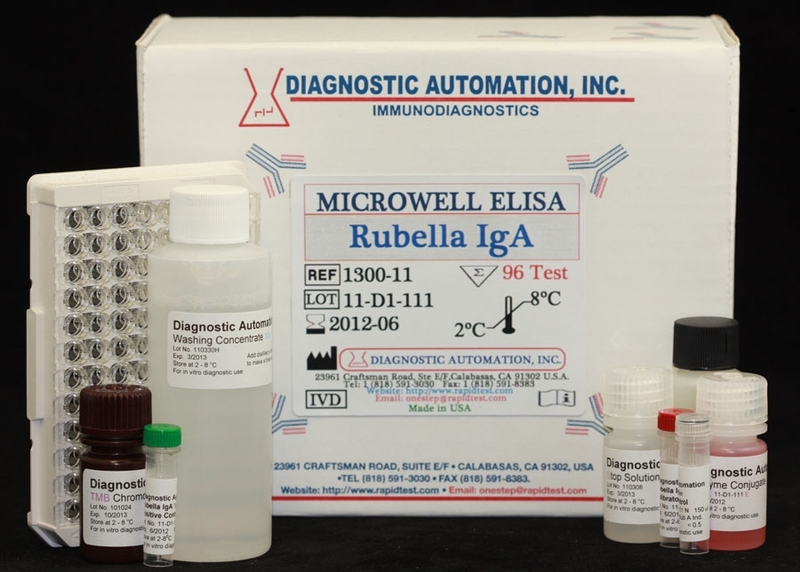 Diluted patient serum is added to wells, and the CMV IgG specific antibody, if present, binds to the antigen. All unbound materials are washed away. After adding enzyme conjugate, it binds to the antibody-antigen complex. Excess enzyme conjugate is washed off and TMB Chromogenic Substrate is added. The enzyme conjugate catalytic reaction is stopped at a specific time. The intensity of the color generated is proportional to the amount of IgG specific antibody in the sample. The results are read by a microwell reader compared in a parallel manner with calibrator and controls.